All American Jewelry And Loan address, phone, website, hours of operation, and more. 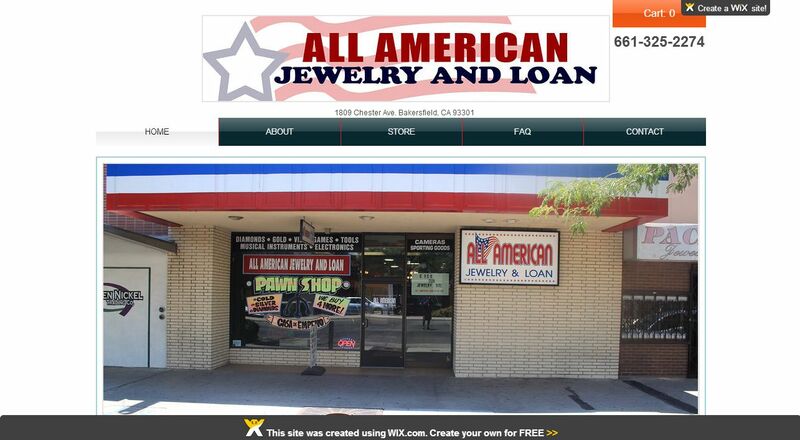 All American Jewelry and Loan is a pawn shop located in the heart of Bakersfield. Our company specializes in collateral, short term fine jewelry and various valued item loans with the most competitive loan and buy prices in our industry. Our offices offer you the security; comfort, privacy and the peace of mind you’re looking for when considering getting a loan or simply selling your fine jewelry or valued item. We understand that obtaining a conventional bank loan has become more difficult. Jewelry is a great way to help get you fast cash without a credit or employment history check. When in need of additional funds for your mortgage payment or car payment. Let All American Jewelry provide you with immediate cash to cover an unexpected emergency, personal expense, or a much needed vacation. At All American Jewelry and Loan every transaction is private and confidential. If you decide to obtain a loan with our company we offer you the comfort of knowing that all your valuables are kept on the premise in our vaults. When you visit our offices, our knowledgeable GIA certified staff will provide you the personal attention and service that you expect during your private and professional consultation, and will be happy to answer every question you have and walk you through the loan process. Our staff is committed to assuring that our clients have a full understanding of the loan evaluation process. We will take the time to explain the loan value of your jewelry items as well as the selling price value. We pride ourselves in offering a fair market value for your items as well as a full understanding of today’s market place which allows us to be very aggressive in our loan and buy quotes.